In 2012, Elvedin Pasic sat in a courtroom in The Hague fighting back tears. During an appearance before the International Criminal Tribunal for the former Yugoslavia, he’d been asked to relive, in vivid detail, what he calls his “most unsettling” memory: the last time he saw his father. “Because I survived, I felt like I owed it to my dad to tell his story,” Pasic told FRONTLINE. 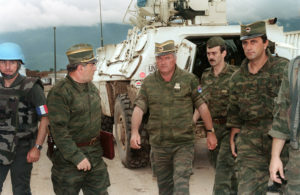 Pasic was the first witness in the historic, five-year trial of Gen. Ratko Mladić, the former leader of the Bosnian Serb army and one of the most infamous figures in the Bosnian war. Mladić was charged with 11 counts, including crimes against humanity and the 1995 genocide of 7,000 Muslim men and boys in Srebrenica. 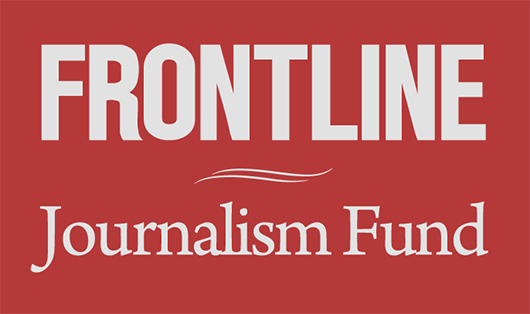 FRONTLINE’s documentary The Trial of Ratko Mladić chronicles the case against the former military leader, with exclusive access to the prosecution and defense teams over the course of the entire proceeding. The film features accounts from survivors of Mladic’s campaign against Muslim Bosnians and Croats — survivors like Pasic, who was one of nearly 600 witnesses who offered testimony. In the clip above, Pasic’s voice occasionally breaks as he testifies about how the arrival of Bosnian Serb forces in his village changed his life forever. In 1992, then 14-year-old Pasic lived a quiet life in the northern Bosnian village of Hrvacani. When they weren’t at school, Pasic and his two siblings helped their parents farm the land that they lived on. His predominantly Muslim village abutted several Serb and Croat villages, which were close enough that children attended the same schools. Pasic remembers that neighboring villages would gather to celebrate each other’s religious holidays, both Christian and Muslim. On the second night of the Muslim holiday Eid al-Adha, in June 1992, Pasic said he was celebrating with his family when his village was attacked with bombs and gunfire from Bosnian Serb forces. “We were forced to leave our village and run for our lives. It was unpredictable and horrifying for us,” he said. Pasic and his family fled Hrvacani. When they returned months later, they found the village had been burned to the ground. Elderly residents who were too weak to escape had been burned alive. Even Pasic’s pet dog had been shot dead. The family immediately went back into hiding. After five months, Bosnian Serb soldiers captured Pasic’s family, along with dozens of other Muslim villagers, who had been hiding in a tunnel near the village. Pasic testified to the court that Serb forces instructed villagers to form three lines and lay down in the mud. Pasic had his father to his left, and his uncle to his right when soldiers instructed women and children to get up. Pasic was reluctant to leave his father, who urged him to join his mother and siblings. Pasic got up. He never saw his father or uncle again, and their bodies were never recovered. It’s been seven years since Pasic’s testimony at The Hague. Today, he lives in St. Louis, Mo., with his wife and two young sons, but he said he thinks about his father every day. In November 2017, Pasic and the other survivors received a measure of justice when the tribunal found Mladić guilty of genocide and other war crimes and sentenced him to life in prison. But, Pasic is still holding out hope that his testimony will also lead to the discovery of the mass grave where his father is buried. The Trial of Ratko Mladić premieres Tuesday, March 19 at 9 p.m. EST/8 p.m. CST on PBS stations (check local listings) and online.